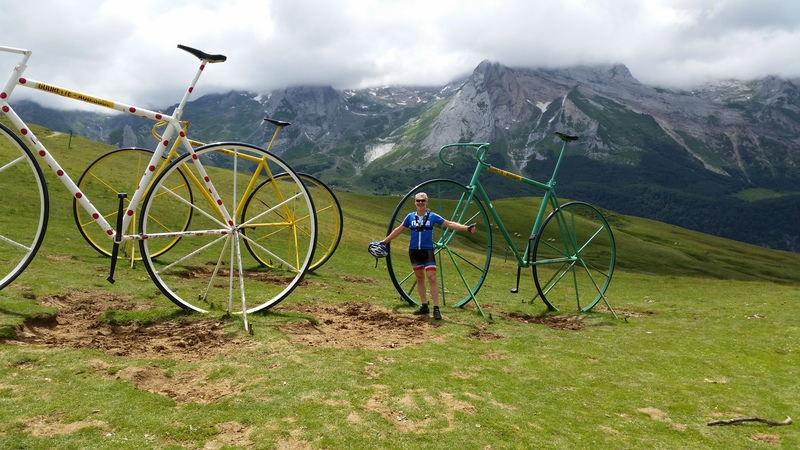 And so when the opportunity arose I grabbed the chance to join my riding group who organised a cycling tour through the Pyrenees coinciding with the 2016 Tour de France. Following months of cold frosty early morning training in Melbourne, weekends in the hills of Dandenongs and Bright, the Tour de France was finally in our sights. 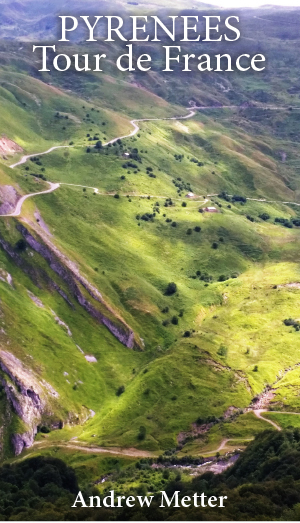 The highlights of the Tour were many: the enormity of the mountains, the sheer scale of the region and the beauty of riding in an environment that is 2nd to none. The scenery was absolutely spectacular with quaint villages nestled in deep valleys. It was great to experience the friendliness and tolerance of motorists and cyclist alike and the excellent company of our group sharing the daily challenges of tackling the heavy gradients. And then there was the food, heightened appreciation after a days ride, or stopping in a field for lunch – light and fluffy croissants, baguettes filled with regional cheeses, jams; lots of rich tasty meals, and we discovered the art of cleansing the palette with cheese between courses. Strange but remarkably refreshing. 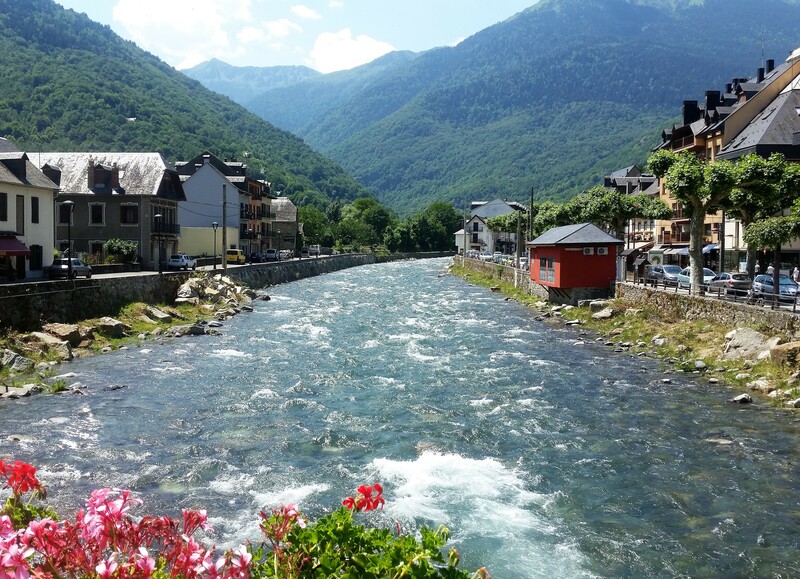 We stayed in the Pyrenees in Luchon, close to a bracing fresh water spring. The Tour de France had a start and finish stage in Luchon which meant getting up close and personal with the pro cyclists. 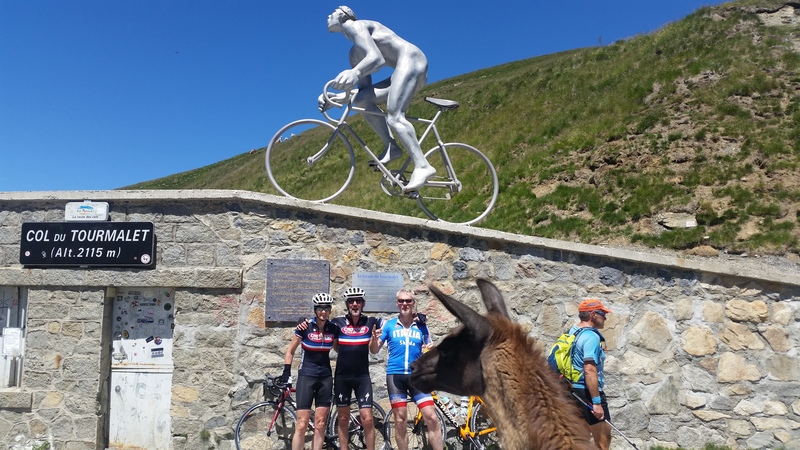 One of the more pertinent memories is that of a 30km climb up the Col de Tourmalet, famous in the Tour de France. Fortunately we were not racing, and were able to do this at our own pace. After a fairly grueling climb for 2 hours I could finally see the top of the mountain, the cable car station perched high in the clouds. The markers on the side of the narrow road confirmed only 5kms to go, the final push. I glanced down at my bike computer showing my current speed, a mere 5 kph, which essentially meant I had another 1 hour to get to the top!! And this we do for fun. So deceptive are the mountains, the perspectives so different from riding in familiar surroundings. What you see from afar and what is true often conflict. But we did have time on our side to take in the surroundings – little mountain streams seen from a distance, in the wondrous silence of the fresh mountain air, becoming fast flowing rivers up close, and the more deafening rush of fast moving glacial rivers. We were all personally challenged and also had much enjoyment – many laughs and great dynamics as happens when a group of friends do things together with similar interests – very satisfying. As always I’m more than happy to assist you with a comprehensive evaluation of any concerns regarding your “bike fit” measurements or lingering bike related injuries, at any level. Book yourself and your bike in!